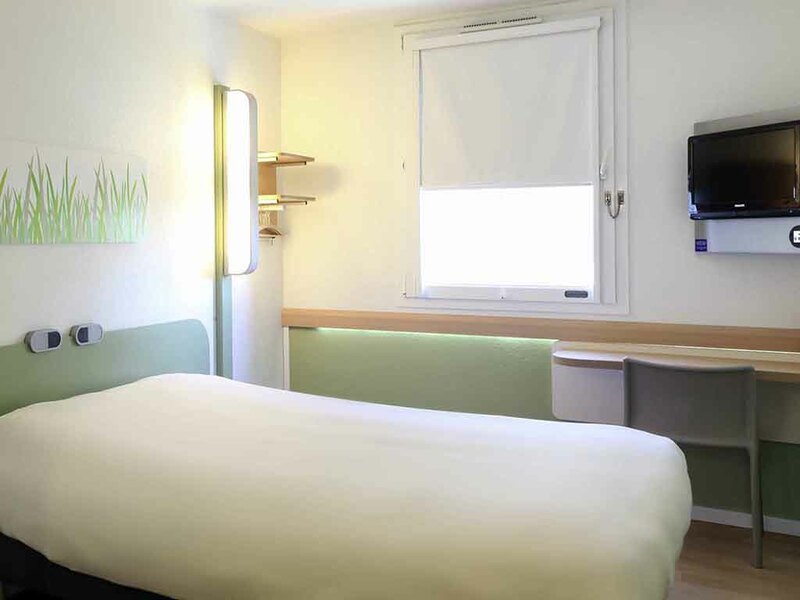 1.5 hours from Paris by TGV train (direct access to the station by tram), the ibis budget Nancy Centre hotel features 80 modern, air-conditioned and peaceful rooms designed for 1, 2 or 3 people. All rooms are equipped with new bedding. Economy hotel with reception open day and night. Delicious all-you-can-eat breakfast for a great price! Partner restaurants within 55 yards (50 m). 24-hour snacks and drinks in the hotel lobby. Free WIFI access. Private paying parking on reservation.